Following a successful relationship in the Danish sector, Bilfinger and Semco Maritime have responded to calls for supply chain collaboration in the UKCS by pulling together their respective strengths and offering operators the ability to safely, quickly and cost effectively upgrade their helidecks from an electrical and structural perspective to meet the requirements of both CAP 437 and 1145. 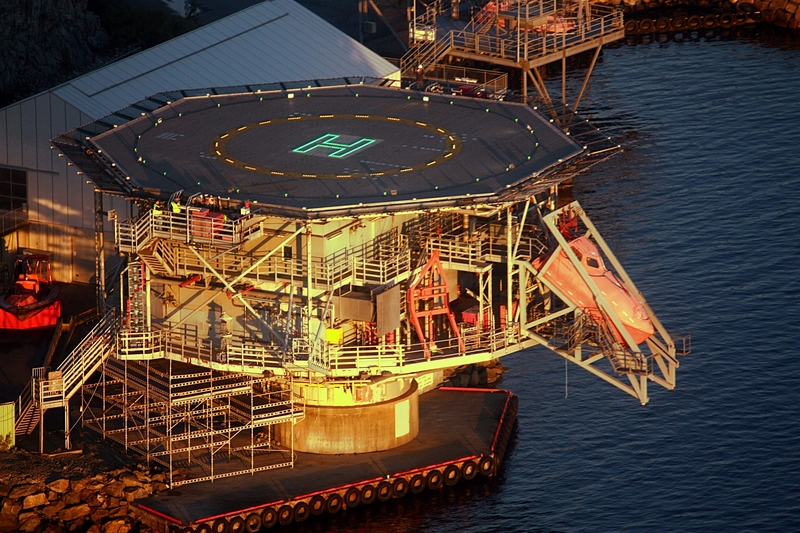 The 7th edition of the Civil Aviation Authority’s CAP437 regulation has been revised to incorporate the full and final specification for the helideck lighting scheme comprising perimeter lights, lit touchdown/positioning marking circle and lit heliport identification ‘H’ marking. The revision is part of a move to continuously improve the approach and landing of helicopters at night, and all operators should have assessed their helidecks for compliance and built plans for upgrade by the end of June 2016. All assets must be compliant by the end of March 2018 – those which do not have Helicopter Certification Agency (HCA) approved lights fitted will face a restriction on day flights from April 1, 2018. Bilfinger and Semco have built a cross-company, multi-skilled helideck upgrade team which can be deployed to help clients meet the regulations, reducing the persons on board (POB) required, and simplifying and streamlining the required upgrades for operators. Different lighting and coating solutions are needed depending on the construction, size and utilisation of each helideck, so Bilfinger and Semco’s joint helideck upgrade team can fit all leading manufacturers’ lighting systems and deliver full rope access support. This means that the team has a minimal impact on core operations and campaigns are accelerated. 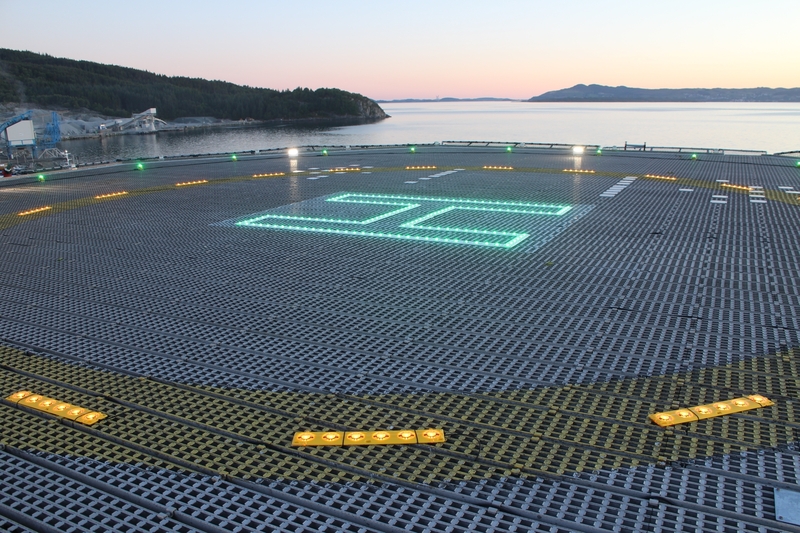 Changing out an ‘H’ and circle lighting system has the potential to impact severely on platform operations as helidecks are in regular use. Sandy Bonner, COO of Bilfinger Salamis, said: “We know that operators need to use the helideck for regular landings, and these scopes can have significant downtime. We always focus on maximising our productivity to offer operators a low cost, high impact solution. “Our integrated helideck team can cover all aspects of the required CAP upgrades, and also add value by being able to deliver additional scopes, such as upgrading perimeter netting, coatings, replacing tie in points and carrying out EX Inspections, and fire suppression and deluge system certification. “Also, due to the scale of the lighting upgrade requirements, it’s generally seen as a purely electrical scope with structural, coatings and rope access elements treated as secondary. Jim Cooper, GM of Semco Maritime, added: “Helideck upgrades can traditionally entail a lot of non-productive time. We want to eradicate this by delivering truly multi-skilled operatives and remove the boundaries that normally exist between companies. The two companies have operated a successful collaboration in Denmark since 2008, bringing together complementary skills and competence to support clients such as Maersk, DONG and Hess in fabric maintenance, NORM management, decommissioning and inspection. The collaboration has delivered streamlined supply chain management, reduced interfaces and successfully exported proven services from the UKCS to the Danish sector. Another Scottish IndyRef: How would the North Sea be divided?